At RAND, that slipping grasp on the facts—”Truth Decay”—has become a research priority. 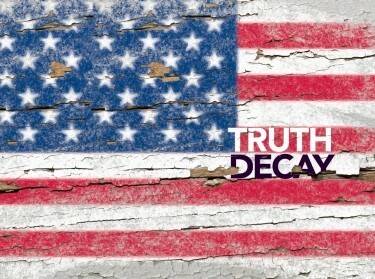 A new RAND report—Truth Decay: An Initial Exploration of the Diminishing Role of Facts and Analysis in American Public Life by political scientist Jennifer Kavanagh and RAND's president and CEO, Michael D. Rich—identifies the social, psychological, and historical foundations of the problem and sets out a research agenda to address it. 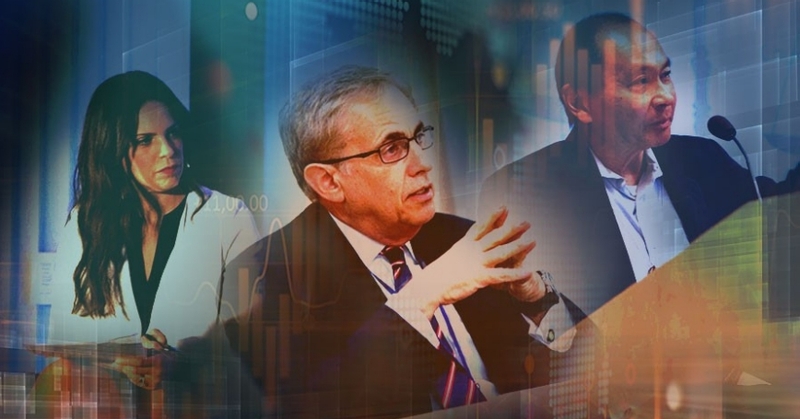 Earlier this year, Rich, journalist Soledad O'Brien, and political scientist Francis Fukuyama sat down with RAND Review staff writer Doug Irving to discuss the phenomenon of Truth Decay—and the search for solutions to it. What do you think is the most serious challenge facing America or the world right now? Francis Fukuyama: I'm most preoccupied with the threat to global democracy and to democratic institutions as a result of the rise of global populism. 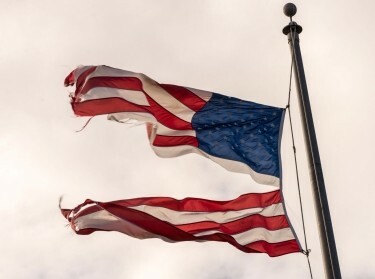 I think it's likely that a lot of American institutions are going to be eroded. There are some scenarios in which the damage could be minimized, but there are also some in which it could be quite severe. Those institutions are not like physical obstacles; they're only important to the extent that people in the political system think they're important. Michael D. Rich: There's also been an erosion in civic literacy, civil discourse, in engagement in our political system—how often people vote, how seriously they take their choices. I became interested in Truth Decay because I was worried about its implications for RAND. But I soon realized that it poses even greater dangers. Those trends have serious implications for democracy in the United States. It's as if everybody has their own set of facts, and if you just shout loud enough your “facts” will push through. Soledad O'Brien: What I'm concerned with is the tenor of the conversation. People today feel that they don't necessarily need to agree on a set of facts. It's as if everybody has their own set of facts, and if you just shout loud enough your “facts” will push through. The debate is really just a screamfest. And we're in this sort of outrage pipeline. Every day, we are spewing vast amounts of stuff and there's no one who's really trusted to go through it and give it context and pick out the stuff that's true and throw out the stuff that's false. The Truth Decay book discusses confirmation bias, how people are hardwired to seek out facts that align with their beliefs. How do you overcome that, especially when they have this “firehose” of information coming from the internet? Rich: I don't think it's ever going to be possible to eliminate cognitive biases, but there are ways to reduce their effects. We have to do a better job of teaching people to be more aware of their biases and to distinguish between reliable and unreliable sources of information. But that's just one element. What's needed is a revitalized effort to inspire the kind of civic engagement that's appropriate for this century. If I were to have asked my father, “What should I do to be a good citizen?” one thing he would have said is, “Make sure you read a daily newspaper or watch one of the news broadcasts.” What's the modern answer? Fukuyama: Civic education is fine and necessary, but it's embedded in a much deeper problem, which is the degree of polarization. We're seeing people who are part of the political elite doing things that really violate some basic norms and constitutional principles. But they're willing to do it because it's to their political advantage. O'Brien: I would argue it even goes further than that. What you're describing is just lying, just basic lies. There was a time when being branded as a liar would actually end their careers. But with this constant flow of outrage, people are a little bit inured to this. The good news: Past periods similar to Truth Decay all drew to a close. RAND researchers found that each of the previous periods ended when institutions, such as the government, increased transparency and Americans attached more value to objective facts within political and civil discourse. Further investigation of these eras may lead to lessons on how to rein in some aspects of the current version of Truth Decay. You're very deliberate in calling out lies as you see them on social media. There's been a debate within journalism about when to use that word. When do you think journalists should say something is a lie? O'Brien: Well … when it's a lie. Some things are provable facts—a point made well in the Truth Decay book—and some things are just lies, and when it's a lie you should call it a lie. I truly believe people don't because they're trying to make sure their tone is acceptable and they're not alienating someone they need access to. So, yes, I call people liars all the time because I'm not trying to get access to people very often. I'm self-employed, so I don't have employers who are worried about how I'm going to come across. You're working on a book about identity, Frank. How does this erosion of truth play into that? Fukuyama: There's a very direct connection. Identity politics is the belief that you are a member of a group that has been marginalized and victimized, not receiving adequate recognition. What you end up having is a world that is divided into these self-regarding groups, all of which claim victim status, and that's what propels a lot of the bitterness in the conversation. O'Brien: This identity issue is really interesting because it does give credence to the individual's narrative over what the data might tell you. For example: “I am a white person who feels like I was passed over for a job; ergo, racism against white people is a big issue.” The data wouldn't bear that out, but it's someone's lived experience so that's how they see the world. It really does not allow you to have a nuanced conversation, because everybody's got their own individual story. 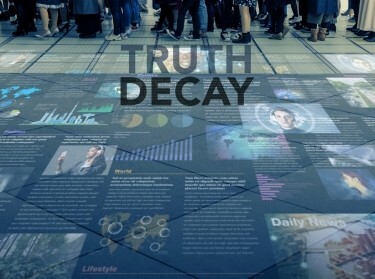 Truth Decay talks about how the military, businesses, even baseball teams have gone more toward data, more toward facts. What is it about politics that has seemingly gone so far in the other direction? Rich: One reason is, as Frank mentioned, the increase in political polarization, reinforced by social and economic polarization. More and more, politicians can be elected by appealing to narrower and often extreme slices of the electorate on both sides of the spectrum. And frankly, not enough of the people who are eligible to vote hold our officials accountable. O'Brien: Any good political campaign has a ton of data on exactly who their voter is. What street they need to be on in order to get those people. What are those keywords or dog whistles that will infuriate the audience. So I think there's tons of data in politics. It's just not data in the way that we'd think about it. Rich: The distinction is that data are used in the political dimension of a politician's job, but seemingly less and less in the policymaking dimension. O'Brien: And that goes with the news cycle really saying, “Don't give me all that wonky information … make it sing!” The data point doesn't really matter if you can sell it well and wrap it in a pretty package and deliver it in less than 10 seconds as a sound bite. Fukuyama: A lot of my students don't even own televisions anymore. They don't read newspapers, they get all of their information from Facebook or Twitter or other social media sources. 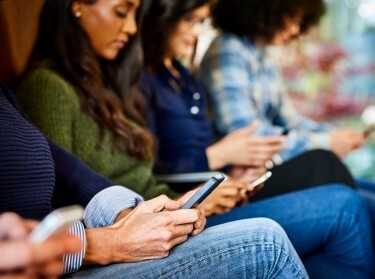 The position of these sources is pretty much, “We have no responsibility to curate what's on our platforms and, in fact, if we do we'll be held liable for that content.” That means they are completely exempted from any responsibility for propagating hate speech, conspiracy theories, fake news, all of that stuff. That's something that can change. It can change through regulation, or it can be a matter of self-regulation. The answer doesn't have to be government policy, necessarily. It could be policies undertaken by the platforms themselves, and that will happen, I think. Rich: I'm not optimistic that this decay that we talk about is reversible if we don't take any steps in response. It is not going to be self-correcting. But I am optimistic that we can develop, as a society, a strategy that will be successful. We've seen several earlier periods that were similar in many respects to what we're experiencing now. Not identical, but similar, and the country came out of them. We don't know everything we need to combat Truth Decay, but I think we've made a good start in outlining a research agenda that will tell us what else we need to know. We're committed to pursuing it. We're not going to be able to do it all by ourselves, but we're going to do what we can. You're on the front lines of all this, Soledad. How optimistic are you? O'Brien: It depends on the day you ask me. In terms of self-policing, I just don't see that happening because I think news organizations are in a bit of a panic trying to figure out the next financial model that's going to be successful. I do think people have never seen so many stories on emoluments and these details in the Constitution and the Bill of Rights. I mean, we're talking about things that I just have never covered as a journalist because people didn't feel the need to do a deep dive into who we are as Americans and what the Constitution says. Michael talked about what his father might have said if he asked what it takes to be a good citizen. I'll turn that around and ask you three: In this current age, what does it take to be a good citizen? Fukuyama: It requires a certain kind of education that gives you a little bit of historical context, so you know what the basic institutions of our country are, where they came from, and how they operate. Even that kind of minimal knowledge has really disappeared from public education in this country. Rich: I would add an increased emphasis on basic critical thinking skills. And, in the era of big data, the fact that we don't routinely teach elementary statistical concepts to future voters is worrisome. O'Brien: Yes! One of the most ridiculous pitches of the tax bill was what the average American will save. You know, the average of me and Bill Gates is a really fantastic number that I will never see. It was stunning to see that being pitched to reporters who never challenged it. But to answer your question: Number one, people have to vote. People have gotten to the point of thinking their vote is utterly irrelevant and all politicians are essentially interchangeable. When you look to the future, what gives you hope? O'Brien: The fact that people have embraced this massive information pipeline into their home and want to communicate and reach out. There's been a lot of terrible communication and pulling together of like-minded people who have awful intentions. But really, it also has a great opportunity to pull together people who want to make change that is positive. I think that's very powerful. Rich: The United States has recovered from even deeper divisions before, and no other country has perfected a better form of government. Those are the reasons that give me optimism, but it's going to require a lot of thought and hard work. Fukuyama: The system has received some really big shocks in the last couple of years, and it takes awhile to recover from shocks. But the very speed of what has happened has also stimulated a lot of thinking and reflection, and I think that's ultimately what's going to save us. Rich began his career at RAND as a summer intern in 1975 and later specialized in national security research. He was instrumental in creating the RAND National Defense Research Institute and helped lead RAND's expansion into international markets, including Europe, Australia, and the Middle East. He was named president in 2011 and has focused on extending the impact of RAND research. He is a member of the U.S. Defense Science Board and the Council on Foreign Relations and serves on advisory boards for the Council for Aid to Education, WISE & Healthy Aging, the Everychild Foundation, and Santa Monica–UCLA Medical Center. O'Brien is a journalist, producer, author, and media CEO whose television reporting has won three national Emmy Awards. She currently anchors Matter of Fact, a national newsmagazine show, and Mysteries & Scandals, a true-crime series, and reports for HBO's Real Sports with Bryant Gumbel. She has also appeared on NBC, CNN, MSNBC, and Al Jazeera America. In 2013, she founded Starfish Media Group, a media production and distribution company that focuses on issues of race, class, wealth, poverty, and opportunity. Fukuyama is an author, historian, political scientist, and philosopher best known for his 1992 book The End of History and the Last Man. His most recent work was a two-volume history of political development, The Origins of Political Order and Political Order and Political Decay. He is a senior fellow at Stanford; worked as a political scientist at RAND in the 1980s and 1990s; and was twice a member of the U.S. Department of State Planning Staff. Fukuyama is chairman of the editorial board of The American Interest, which he cofounded in 2005. Fukuyama is also a former RAND trustee. Funding for this venture was provided by gifts from RAND supporters and income from operations. RAND's research findings and recommendations are based on data and evidence and therefore do not necessarily reflect the policy preferences or interests of its clients, donors, or supporters.